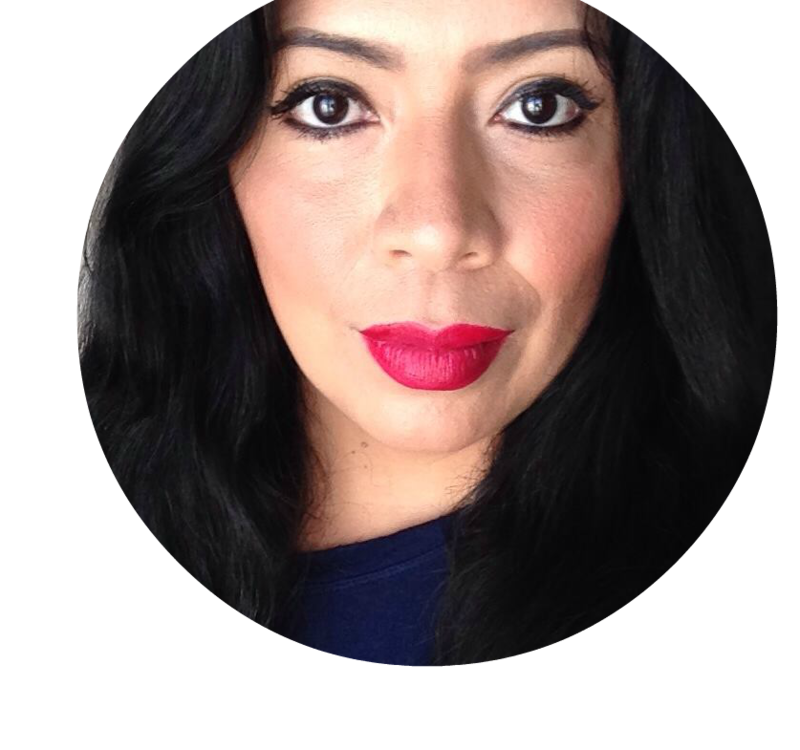 This is a sponsored post in collaboration with Neutrogena and Latina Bloggers Connect. However, all opinions are my own. Spring is finally here! I love Spring and the renewal that comes with it. Spring is a great time to clean out the clutter in our lives, our homes and even in our makeup bag. It's time to put those dark, reds and plum colors away, at least for a little while. And it is time to bring create a new look for yourself using light, crisp and clean spring shades that look so fresh during spring. This is the look that I created using Neutrogena products. At this time of the year I love starting out with a new foundation that will give me a more natural and flawless finish without being too drying. Winter was an absolute killer on my skin and I had to say goodbye to the matte finishes because I literally looked like my face was cracking. 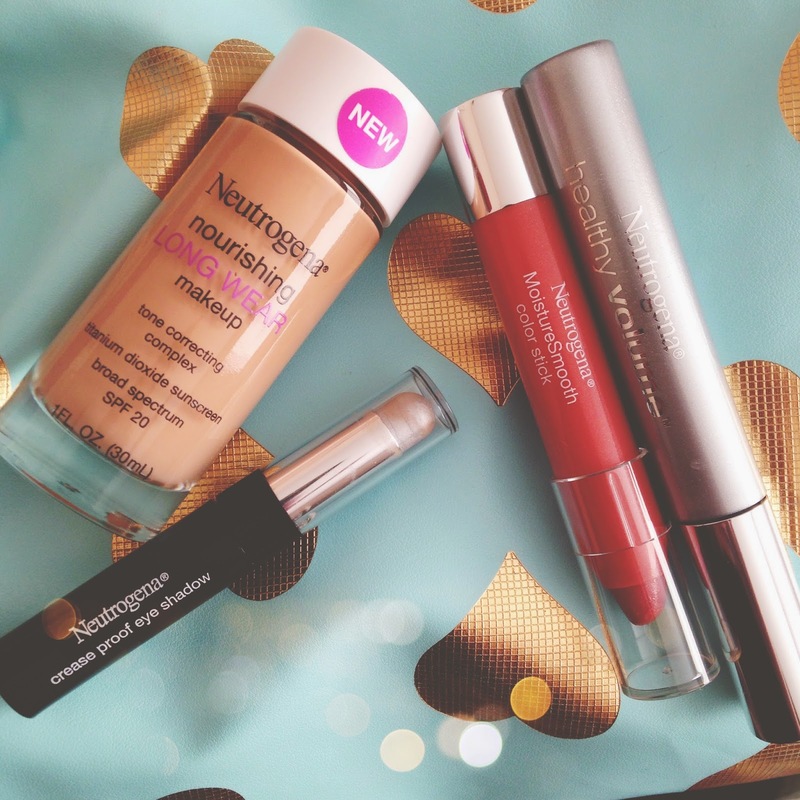 I've been trying out the Neutrogena Nourishing Long Wear Liquid Makeup which has an SPF 20 and wears up to 12 hours. This foundation goes on smooth and gives that perfect amount of coverage while still allowing my skin to breathe and look natural. Something else that added a lot of pop to this new look is the Crease Proof Eye Shadow in Forever Platinum. I am always really no fuss when it comes to shadow so this type of product really works for me. It's a mistake-proof way to add a pop of color to your lid, and you don't even need any tools to apply it. Simply add a few strokes of the shadow on your lid, some on your tear duct area and even some under your bottom lashes, for an extra pop. I finished off my eyes with Neutrogena Healthy Volume Mascara. For that perfect spring pop of color on my lips, I put on the Neutrogena MoistureSmooth Color Stick in Fresh Papaya. Lastly, I tapped some highlighter to the appropriate places and viola! I think the end result is a very glowy and healthy look that is perfect for these beautiful spring days. Bonjour dry, flaky skin! I love this fresh new look and I am seriously digging this glowing skin. Right now is a great time to pack away your winter foundation and opt for a dewy or satin finish, moisturizing formula. It's time to repair all that damage that winter brought upon us. Drinking a lot of water also helps bring that moisture back to skin, making it glow from within. Say goodbye to matte skin and hello to Luminous, glowy skin: add a highlighter with a bit of shimmer to your makeup bag. I tap this along the tops of my cheekbones and brush some on my forehead and nose for that really healthy effect you see above. 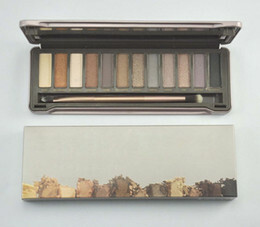 Bronze, gold and silver shadows give your eyes that same luminous effect. You don't have to be an eye shadow expert either. I always choose to add one color to my lids and it works fine for me, especially when that color has a tiny bit of shimmer. For lips the big trend is Radiant Orchid. But I love adding a lot of corals, pale pinks and peachy shades too. I am also really into bright lip colors, like a bright orange or pink lip. Spring is a great time to play with color, so have fun! There is no right or wrong way to have a new spring look. It's all up to what makes you feel good. Rock a red lip, a blue mascara, or a plum eye shadow. It is up to you! Just have fun and enjoy being a girl! Have you updated your spring makeup routine?